In his previous life as a powerful corporate executive, Ontario PC candidate Rod Phillips made millions while padding his bottom line eliminating jobs. As Chairman of the Postmedia empire, Phillips collected over one million dollars at the same time as company executives found “efficiencies” laying off journalists and shutting down local newsrooms across Ontario. An analysis of Postmedia executive pay by PressProgress shows Phillips took home a whopping $1,010,000 in total compensation during his stint as Chair of Postmedia’s Board between 2014-2017. According to Postmedia’s annual shareholder reports, Phillips’ compensation rose dramatically from $153,000 in 2014 to $270,000 in 2015 to $316,000 in 2016 before dipping back to $271,000 in 2017. Phillips’ time as Chair of the Board at Postmedia coincided with a period of deep cutbacks and layoffs at many of the chain’s newspapers and media holdings. 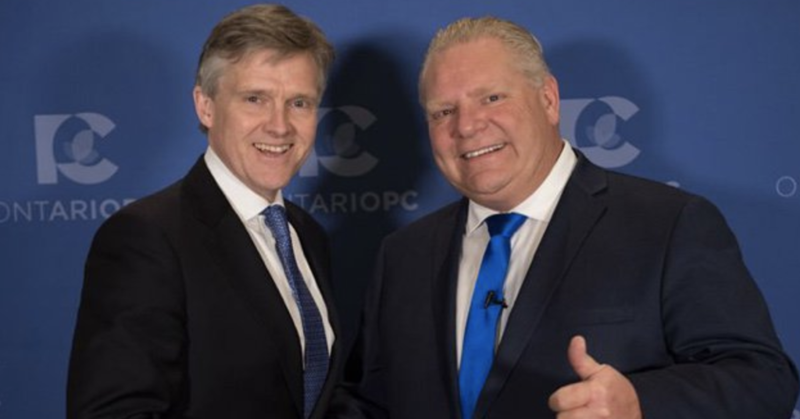 Phillips left Postmedia to run for the Ontario PCs only 11 days before the company announced a massive deal with TorStar to swap and shut down over 40 community newspapers, many in Ontario. Canada’s Competition Bureau later took both companies to court, alleging they illegally engaged in a conspiracy. As PressProgress previously reported, between 2013 and 2017 compensation for Postmedia executives soared even as the media giant’s frontline workers faced cutbacks, pink slips and deepening austerity while company executives awarded themselves millions in bonuses. 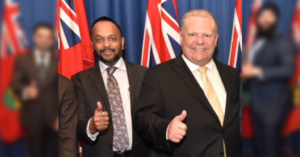 Prior to joining Postmedia, Phillips was President and CEO of the Ontario Lottery and Gaming Corporation, serving under none other than Postmedia CEO Paul Godfrey – previously the Chair of the OLG. 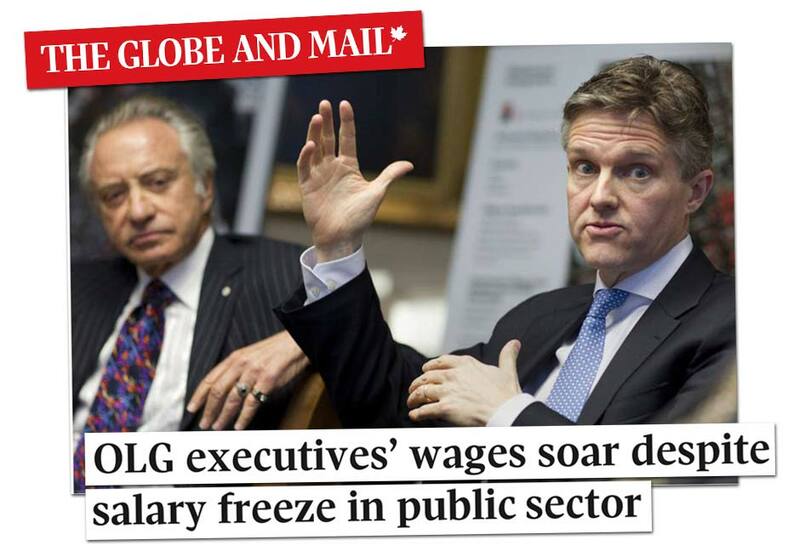 A 2013 investigation by the Globe and Mail revealed the OLG led by Phillips and Godfrey was the only Crown agency in Ontario that failed to rein in bonuses for executives, despite legislation freezing management pay. In 2012, Phillips was Ontario’s 12th highest-paid public sector employee, earning $672,989 in 2012, including $297,989 in bonus pay. That year Phillips’ took home bonus pay that was 650% higher than gambling CEOs in other provinces all while overseeing the elimination of 800 OLG jobs. “I have to tell you, we’re really lucky to have (Rod Phillips),” Godfrey said in defence of Phillips’ big bonuses. Ontario PC leader Doug Ford is standing behind an Ontario PC candidate accused of fraud in several lawsuits connected to his work as an immigration consultant. Ripudaman Dhillon, the Ontario PC candidate in Brampton North, is facing four separate lawsuits as well as several additional complaints from former clients alleging fraud and various ethical breaches.